I’m blessed to have traveled to Australia not one, not two, but THREE times! The first time was for my year as a Rotary Exchange student (and my first ever time in an airplane- yikes! ), the second time was in 2006, and the third was in 2008. 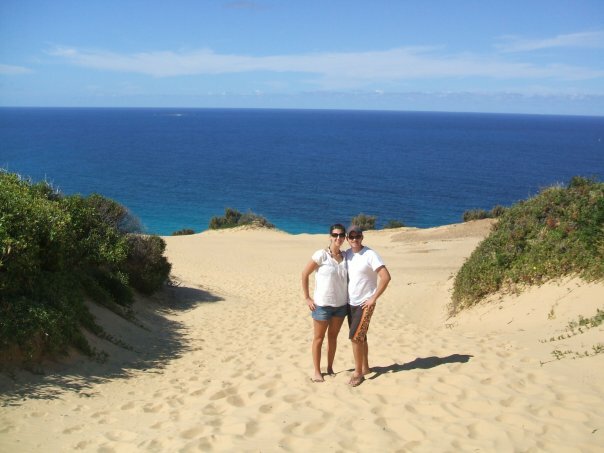 As my 4th trip to the Land Down Under approaches, I wanted to recap my 5 favorite experiences of my favorite place on earth. 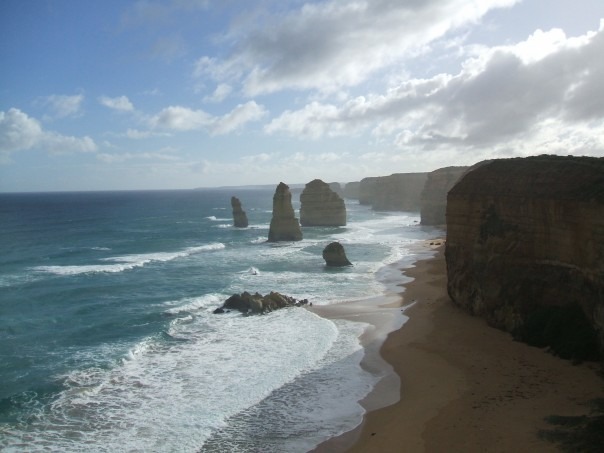 Probably the most well-known scenic drive in Australia, the Great Ocean Road provides contrasting views of blue water, green hillsides, and brown rock formations. The hairpin turns are not for the faint of heart, and we still laugh and joke about my friend speeding around the corners while we held on for dear life! We conquered most of the drive in one day from Melbourne, I would recommend breaking it into two days to really enjoy it (and to avoid getting carsick). 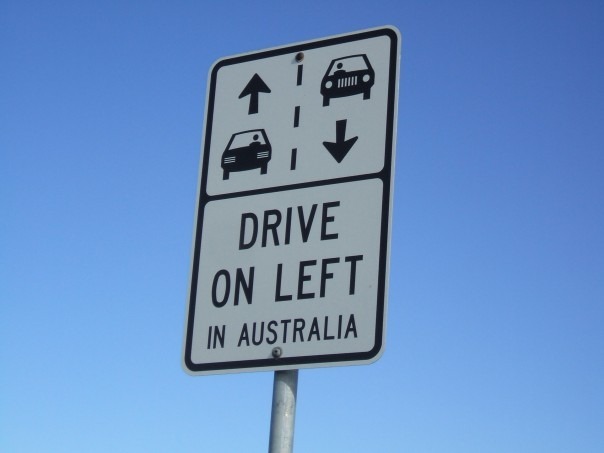 This is the only place I don’t have a photo for, because I visited there in 2001 in my trip around Australia. I loved the Outback once we ARRIVED in the Outback, but sitting hour upon hour in a tour bus was not as glamorous as expected. Kings Canyon is the oasis in the desert that I needed. The one area within Kings Canyon is called the Garden of Eden and I distinctly remember becoming emotional and thinking how idyllic this spot was, probably much like the real Garden of Eden in Biblical times. I did the Canyon Rim walk, and YTravel just recently covered this hike as well. You can check out their website here to get an idea of one of my favorite adventures. In 2008, we decided to stop in Brisbane and take advantage of the new non-stop flights to LAX. While Fraser Island gets all of the press for being the largest sand island in the world, and a World Heritage Site, Moreton Island is like its baby sister, and a much easier daytrip from Brisbane. We took the Eco Explorer tour with MiCat and enjoyed a day of sandboarding, swimming, and just learning all about this amazing ecosystem. I notice that they have now added some “glamping” tents and these may be up my alley for an extended stay. I would highly recommend Moreton Island for all ages, my parents traveled with us, and this is one of their Australian highlights as well. See that little speck? 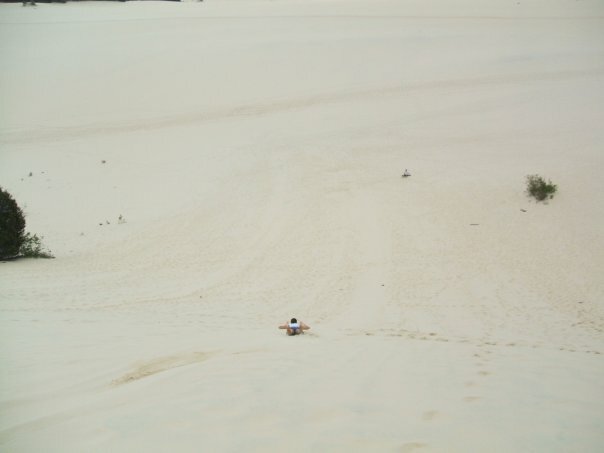 That’s me headed down a giant dune on a piece of plywood. Not for the faint of heart! Moreton Island. The bluest water and whitest sand. Australia is one giant paradise. While the Great Ocean Road gets all of the press, New South Wales has its own treasure of a drive known as the Grand Pacific Drive. The drive begins just an hour south of Sydney and travels through Royal National Park, the second oldest National Park in the world. The Sea Cliff bridge is really as beautiful- and hair raising- as it appears to be. Next time I’d like to continue on to Kiama, we turned around at Wollongong- which was a beautiful city that Brian and I still talk about as a place to “winter” some year. 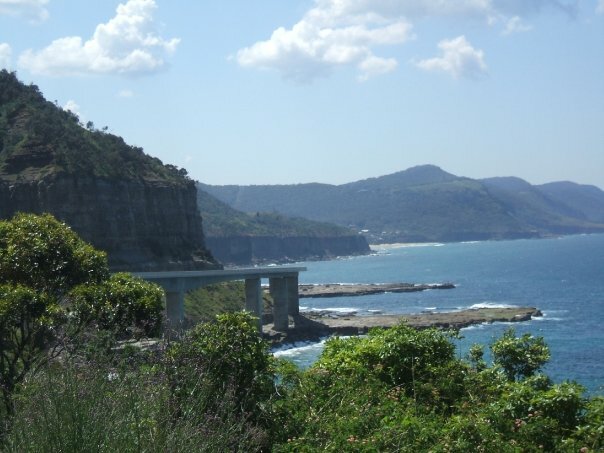 View of the Sea Cliff Bridge looking north. A beach along the Grand Pacific Drive. 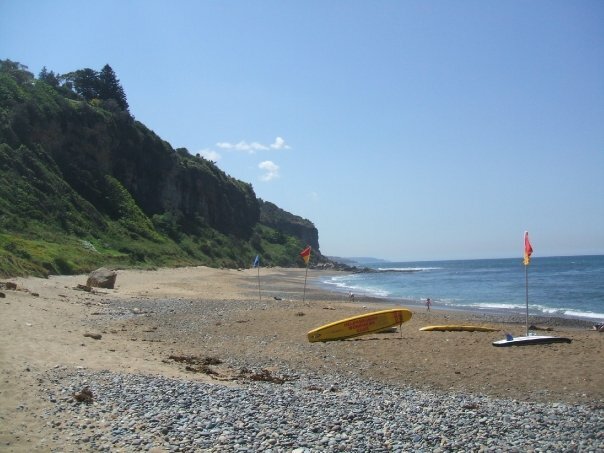 This picture best encapsulates Australia for me- beach, mountain, lifesaving board and flags. One of the most talked about excursions in Sydney is climbing THE BRIDGE. The “giant coat hanger” opened in 1932 and has been the defining landmark of Sydney ever since. While I’m not a big fan of heights, the climb is such a controlled environment that there is really nothing to be afraid of, all participants wear a special windsuit and you’re not allowed to carry a camera or anything else that you may drop and attempt diving for (ha!). Brian and I loved our experience and really enjoyed the views of the Harbour that the trip affords. 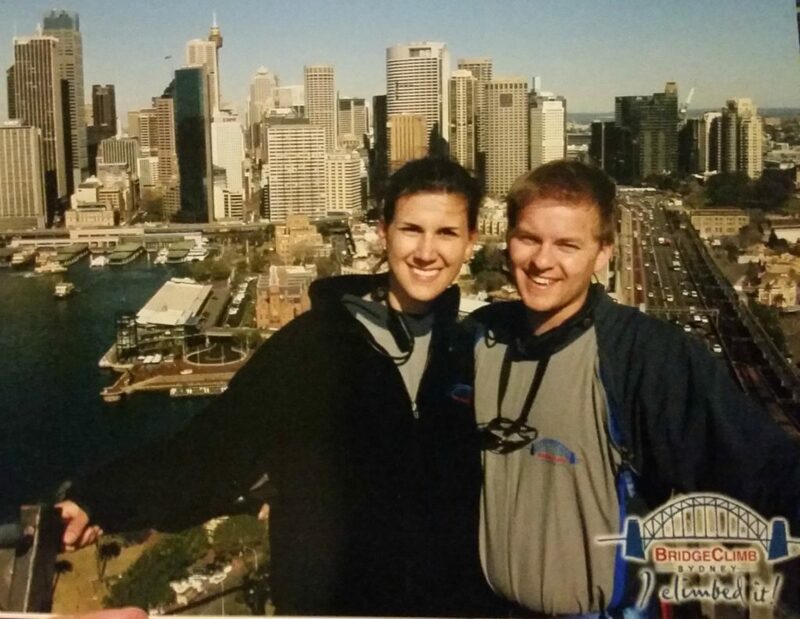 Sorry for the bad quality- Brian and I on THE BRIDGE with the city of Sydney to our back. Have you been to Australia? What was your favorite place/experience? 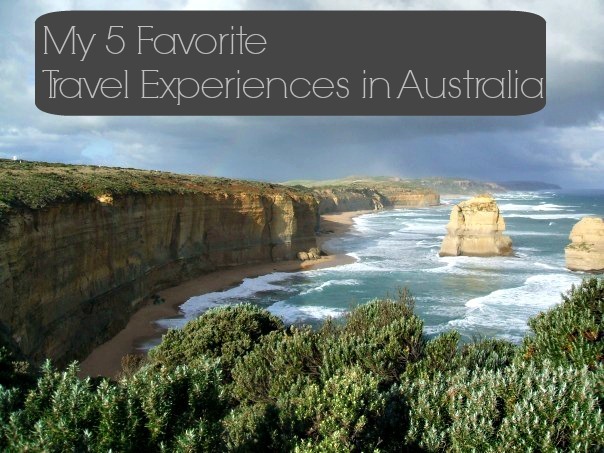 If you haven’t been, which of these 5 makes you want to travel Down Under?